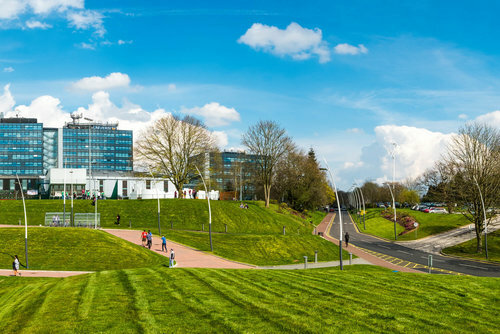 The University of Derby is the 13th best university in the UK for teaching quality, according to the Times and Sunday Times Good University Guide 2019 league table. The league table shows that the University has climbed from 22nd to joint 13th in the country for its teaching quality. University of Derby Vice-Chancellor, Professor Kathryn Mitchell, said: “The Times and Sunday Times Good University Guide ranking is a very important assessment of a university’s progress across a range of measures. To be ranked joint 13th in the country for teaching quality is a fantastic achievement, and further reinforces our commitment to delivering teaching and learning excellence at Derby. This league table position is the latest in a long line of achievements for the University of Derby, which this year has also seen it ranked as one of the UK’s top 30 universities overall in The Guardian’s University Guide for 2019 – it’s highest ever overall position and named among the world’s top 250 modern universities in the Times Higher Education (THE) Young University rankings. This year’s Times and Sunday Times league table also puts student experience at the University of Derby at number 40, up from 55th last year. Overall, the University was ranked 75th, up from 81st in last year’s table - its highest ever overall ranking in the Times and Sunday Times league table. Professor Mitchell added: “The importance of the student experience of Derby is inextricably linked to outcomes, and we have worked hard with our student body to ensure that they have a greater voice in the way the university is run, as well as investing in new accommodation and facilities.